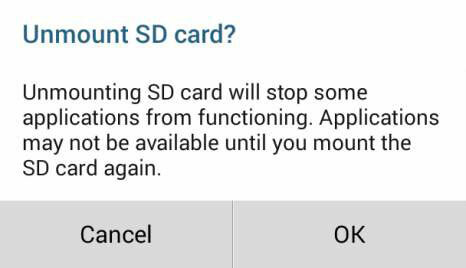 It’s important to mount and unmount your microSDHC card, but sometimes that doesn’t happen. Here’s how to manually mount a memory card that was removed improperly or that somehow isn’t automatically mounted by the system. Choose General and then Storage. Slide the right panel up to reveal the options under SD Card. Removing a microSDHC card from a Galaxy Tab 4 NOOK without unmounting it might damage the information on your card, especially if you remove the memory while the system is powered on. Open the slot and carefully push on the card to release it from the slot. Place the card in the protective case it came in (or in a clean plastic bag) and put it away for future use. Close the small covering lid and snap it into place.